As much as President Donald Trump would like to make the various investigations into Russia’s interference in the US election go away, it is still the biggest story of the year. WhoWhatWhy has done its part in advancing it by publishing several exclusives on the issue. The biggest one was undoubtedly our bombshell article on whether the FBI’s Russia investigation was compromised because it could interfere with the Bureau’s objective of fighting organized crime originating in the former Soviet Union. Part of that story details Trump’s various ties to organized crime and contacts associated with mobsters. A lot has happened since we published it 7 weeks ago, not the least of which was the firing of James Comey. Another recent development was the airing of an engaging Dutch documentary by the program Zembla, which highlights some of Trump’s most dubious connections (Part 1 & Part 2). Although there are some errors of fact, including miscasting a plaintiff’s attorney as a state prosecutor, it’s still worth watching. And you’ll definitely want to brush up on our original article (reprinted below) and our deep-digging followups, which we linked to above. Because this story isn’t going away. It’s just going to get bigger. Such publicity could have exposed a high-value, long-running FBI operation against an organized crime network headquartered in the former Soviet Union. That operation depended on a convicted criminal who for years was closely connected with Trump, working with him in Trump Tower — while constantly informing for the FBI and the Department of Justice (DOJ), and being legally protected by them. Some federal officials were so involved in protecting this source — despite his massive fraud and deep connections to organized crime — that they became his defense counsel after they left the government. In secret court proceedings that were later unsealed, both current and former government attorneys argued for extreme leniency toward the man when he was finally sentenced. An FBI agent who expressed his support for the informant later joined Trump’s private security force. In this way, the FBI’s dilemma about revealing valuable sources, assets and equities in its ongoing investigation of links between the Trump administration and Russian criminal elements harkens back to the embarrassing, now infamous Whitey Bulger episode. In that case, the Feds protected Bulger, a dangerous Boston-based mobster serving as their highly valued informant, even as the serial criminal continued to participate in heinous crimes. 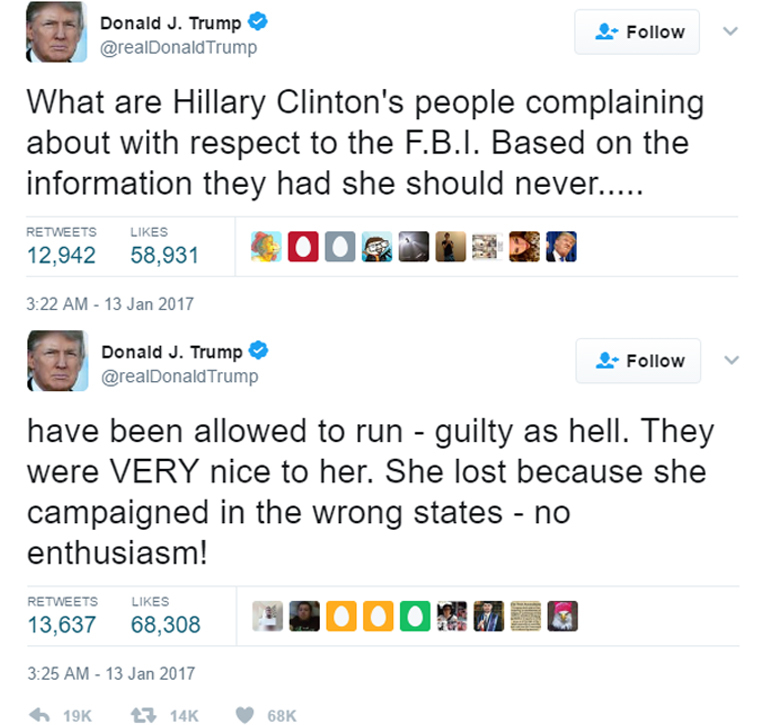 The FBI now apparently finds itself confronted with similar issues: Is its investigation of the mob so crucial to national security that it outweighs the public’s right to know about their president? “What makes this investigation especially difficult is that it will lead into the complex relations between the counterintelligence operations of the FBI and its criminal investigative work,” says Blum. In his March 20 testimony before the House Intelligence Committee, FBI Director James Comey said that he could not go into detail about its probe into the Trump administration’s Russian connection. If he had, we might have learned that, for more than three decades the FBI has had Trump Tower in its sights. Many of its occupants have been targets of major investigations, others have been surveilled, and yet others have served as informants. One thing many of them have in common is deep ties to organized crime — including the Russian mafia. Felix Sater fits all of these categories. A convicted felon, Sater worked in Trump Tower, made business deals with Donald Trump through Sater’s real estate firm, Bayrock, cooperated with the FBI and CIA and was subsequently protected by the DOJ from paying for his crimes. And the Moscow-born immigrant remains deeply linked to Russia and Ukraine. Based on documents examined by WhoWhatWhy, it is possible to draw certain conclusions that help connect the dots between Trump, the FBI, Russia and the mob. The resulting picture is not a pretty one for Donald Trump. However, because of its efforts to neutralize the organization of perhaps the world’s most powerful mobster — a man considered a serious national security threat — the Bureau might just have compromised its own ability to provide to Congress or inform the American public about all of the ties that exist between Trump, his presidential campaign and the regime of Vladimir Putin. Further, Trump’s business association with Sater and Bayrock may have put the president’s financial interests at substantial risk, including possibly millions of dollars in fines, penalties, or other damages, should civil or criminal misconduct be proven in court or otherwise resolved if claims were triggered. Anyone who knew of Trump’s jeopardy in this matter would have enormous leverage over the Trump operation. The government’s kid-glove treatment of Sater is partially explained in those long-suppressed legal documents, which reveal that the mobbed-up businessman was perceived by the authorities to be extraordinarily cooperative and useful. Legal filings on Sater’s behalf state that he “reported daily” to the FBI for many years. Sater agreed to assist the US government on issues of national security and organized crime. His activities were first revealed in a lawsuit brought by a former employee of Sater’s real estate firm, Bayrock. While working with Trump, Sater’s name became “Satter” publicly — presumably with the knowledge if not the encouragement of the FBI. This distanced Satter the businessman, and his partners, from Sater the criminal. Attorneys representing the plaintiff spent years untangling the financial machinations of Bayrock — which they allege involve hundred of millions of dollars in claims arising from, among other things, money laundering and fraud. They also sought to expose the government’s awareness of — even complicity in — Sater’s activities. Their efforts to unseal court documents, including Sater’s legal history, have been met with a concerted pushback by DOJ lawyers, mischaracterizations of the case record, and even — according to the attorneys — anonymous death threats. The story of Donald Trump’s business dealings with a Russian mobster might never have come out were it not for a Bayrock employee stumbling upon Sater’s cooperation agreement with the FBI, among other sensitive information, that had inadvertently been left accessible. That employee sought out attorney Fred Oberlander, who combed through the documents. Over time, Oberlander — who was instructing undergraduates at Yale University in computational physics and computer science from age 18 — began to deconstruct the byzantine financial structure that was Bayrock, which allegedly hid a range of crimes, including massive-scale money laundering from sources in the former Soviet Union. Apparently, the appellate court was persuaded that the unusually broad order was justified on the merits, but the lawyers opposing Sater found the imposed remedy extraordinary. 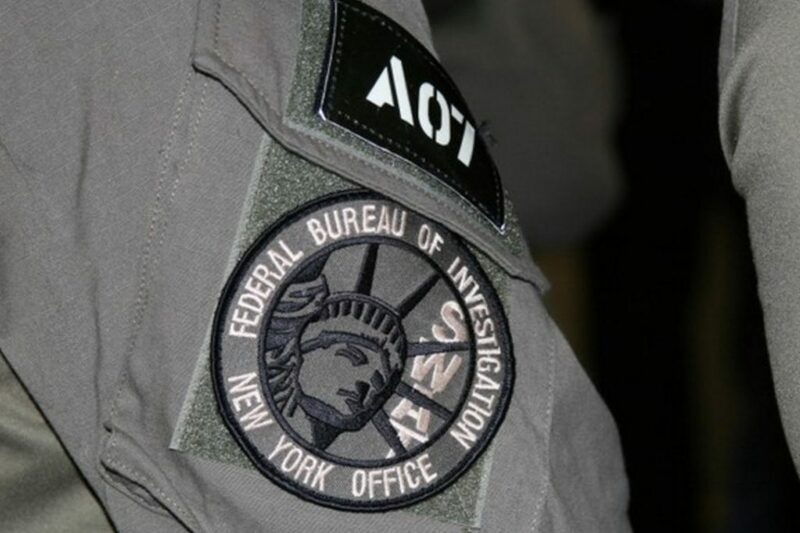 Preventing the Russian mafia from expanding its foothold in the United States has been one of the Bureau’s top priorities. In fact, it might be the FBI’s most important function apart from its role in the fight against terrorism. US authorities came to see Mogilevich, who is described as close with Putin, as not only a danger to the financial system but a potential threat to world peace. He had access to stockpiles of military weapons and even fissionable material, snapped up as the Soviet Union fell apart. His rumored ability to deliver the makings of weapons of mass destruction to the highest bidder — as well as his experience in smuggling opium from Afghanistan — would take on the very highest importance after 9/11, when European intelligence sources reported that al-Qaeda representatives had contacted Mogilevich in search of nuclear material. The Russian mob should also not be confused with a mere crime syndicate. It is an organization comprised of state actors, oligarchs, and specific groups of individuals working collectively with the authority of the Russian government — a “mafia state.” At times, it is difficult to tell where the mob ends and the government begins. To some, the Russian mob brings to mind the globalized villains of a James Bond movie, who want everything and will stop at nothing. 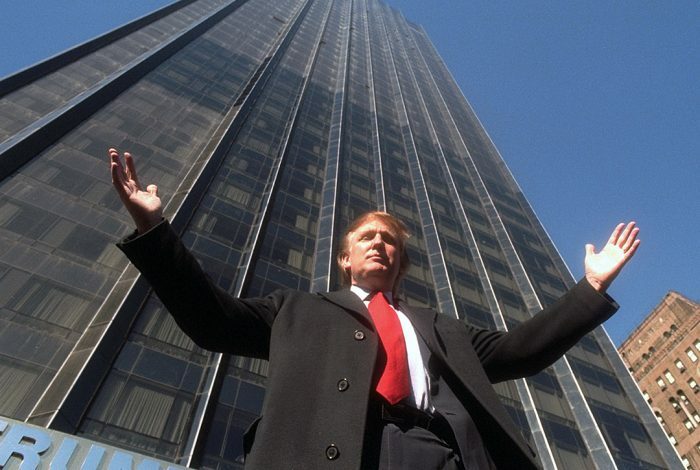 Right from the earliest days of Trump Tower, in 1983, some of the choicest condominiums, including those in the 10 floors immediately below the future president’s own triplex apartment, went to a rogues gallery of criminals and their associates. Granted, the construction and gambling industries have long been bedeviled by connections to organized crime. It may have been impossible for Trump to have avoided those ties altogether. Nevertheless, according to many news stories and public records, Trump has repeatedly been linked to organized crime figures and their associates. 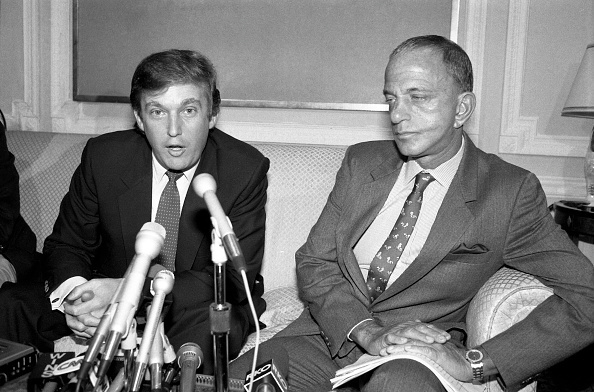 Donald Trump and Roy Cohn, October 18, 1984. To be sure, nouveaux riches of all stripes were attracted to the Trump “glamour” and might well have had difficulty gaining approval of traditional condo or coop boards. Nonetheless, Trump must have known that many of his occupants were problematic — and likely to draw the attention of law enforcement. – Verina Hixon, a close friend of John A. Cody, New York’s concrete union boss, living in six units just below Trump’s triplex. Cody, with ties to the Gambino crime family, was later sentenced to five years in prison for racketeering. Trump and Cody reportedly helped Hixon with a loan so she could pay for the units. – Sheldon and Jay Weinberg, an enterprising father-son duo: The father was masterminding the biggest Medicaid fraud known at the time; the son was later indicted on grand larceny and insurance fraud. The Weinbergs rented directly from Trump three condominiums he had kept for himself. – David Bogatin purchased five apartments on the 62nd floor while running a massive tax avoidance scandal involving commercial gasoline sales. 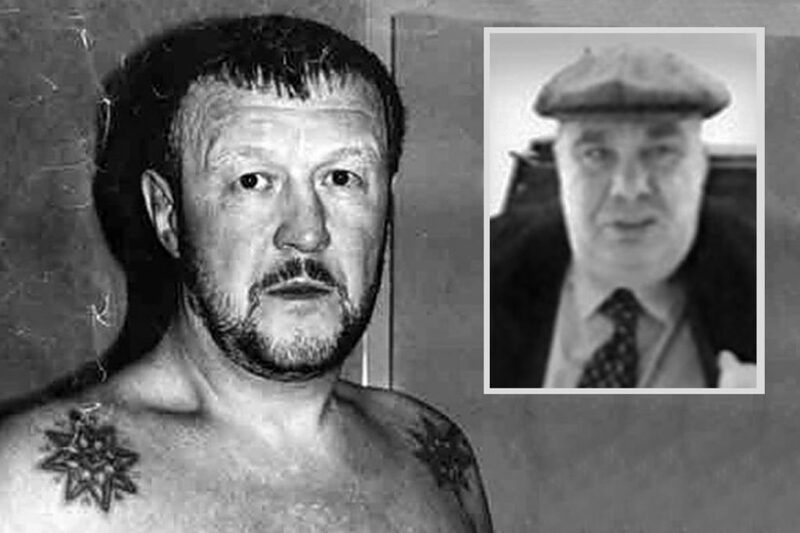 Bogatin had ties with Italian and Russian mobsters. He would later flee to Poland and set up a highly successful chain of banks there before being extradited to the US, where he ended up in the maximum-security state prison in Attica, NY. – Joseph Weichselbaum, Trump’s helicopter pilot, convicted of drug trafficking on three occasions. – Glamorous international art dealer Helly Nahmad, then 34, who lived in a sprawling apartment in Trump Tower (and according to some accounts owned the entire 51st floor), was later convicted and served five months of a one-year sentence for running an illegal gambling operation. He helped orchestrate super-high-stakes card games that sometimes were played in Trump Tower and “catered to billionaires, Russian oligarchs, Hollywood stars, and pro athletes,” including Leonardo DiCaprio, Matt Damon, Tobey Maguire, and Ben Affleck. Also convicted were Vadim Trincher and his sons Eugene and Ilya; the Trinchers had apartments in Trump Tower too. Of course, living in Trump Tower by no means suggests any sort of criminality or association between or among the residents. Still, the list is impressive. But even in this company, one man stands out. Not surprisingly, he is from the former Soviet Union. When the Soviet Union was breaking up in the early 1990s, Mogilevich (AKA “The Boss of Bosses,” AKA “The Brainy Don”) suborned a Russian judge to spring a ruthless and canny lifetime criminal from a Siberian prison. His name was Vyacheslav “Yaponchik” Ivankov. Four months later, in March 1992, Ivankov arrived in the United States to organize a new criminal network. He would take the disparate elements of already-established Russian-speaking criminals and use them to create a sophisticated, well-managed operation that could launder funds and generate cash flow as part of a transnational network. But authorities had no idea where he was. The moment the Feds spotted him, he vanished again, only to resurface later in an Atlantic City casino: Trump’s Taj Mahal. Thus, by the early 1990s, both the arrival of Russian organized crime in the US and the strange attraction of Trump properties for Russian mobsters were on the Bureau’s radar. FBI activity in Trump Tower dates back to soon after it was built, in 1983. Around that time, the Bureau put electronic surveillance in the building with a tap on the phone of the above-mentioned Trump Tower resident Robert Hopkins, a Lucchese crime family associate, who was eventually arrested in the Tower for ordering a murder. FBI interest in Trump Tower continued through the 1990s, when the Bureau, working closely with US prosecutors at the Eastern District (which includes Brooklyn), began to focus on the business operations of a man with ties to Mogilevich: the aforementioned Felix Sater. At about the same time, Trump found himself in a bind with his commercial lenders, who kept his public mystique alive while in essence secretly stripping him of control of his casinos and putting him on an “allowance,” as they tried to salvage what they could from the wreckage of his disastrous business decisions. They retained the Trump name on his most iconic properties, based on the cold calculation that his “brand” might still help draw customers. As Trump lost access to traditional lines of credit, his desperate need for financing led to sources that are murky, at best, including monies traceable back to the former Soviet Union — a circumstance that may explain Trump’s refusal to release his tax returns. According to two pages of Trump’s 2005 tax returns, purportedly sent anonymously to reporter David Cay Johnston, Trump appeared to make an enormous amount of money that year — earning more than $153 million, which put him into a tiny class of super-rich Americans, probably numbering in the dozens. Trump’s windfall seems to have developed around the same time that investors from countries of the former Soviet Union started opening the cash spigot. A 2013 indictment of the illegal high-stakes card games’ organizers, brought by US Attorney Preet Bharara, alleged not only high-stakes illegal gambling and the laundering of approximately $100 million dollars, but also extortion, as ring members used threats and force to strip ”money and property” from clients. One of the operation’s leaders, Alimzhan “Taiwanchik” Tokhtakhounov, an alleged international crime boss and admitted friend of top Mogilevich lieutenant Vyacheslav “Yaponchik” Ivankov (who, as noted, was found living in Trump Tower at one point), managed the ring from afar; he could not legally enter the US as he was already wanted on charges of trying to bribe ice-skating judges at the 2002 Winter Olympic Games in Salt Lake City. Tokhtakhounov has often been tied to Boss of Bosses Semion Mogilevich. Bharara, whom Trump recently fired — after accepting the resignations of other US attorneys left over from the Obama administration — is not the only big name who was involved in investigating the goings-on in Trump Tower. 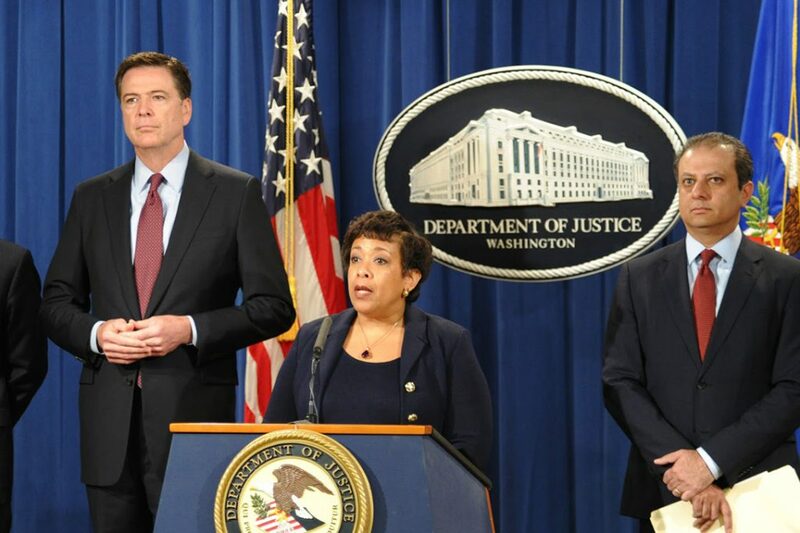 Former US Attorney General Loretta Lynch also played a part. Lynch, first a prosecutor and then the US Attorney for the Eastern District of New York, would have had knowledge of an FBI operation that involved Sater, the Russian mobster-turned-cooperating-witness. While Sater has recently been the subject of some news coverage — his name came up during the March 20 House Intelligence Committee’s public hearing on Russia, when Rep. Eric Swalwell (D-CA) asked FBI Director James Comey about him — no thorough exploration of the Bureau’s dealings with this key informant has been published. The information below is based on an extensive exploration of those dealings, and of previously unexamined and unpublished legal documents, which the government has sought to suppress. The picture that emerges goes to the heart of the many questions raised about Trump’s relationship to Putin’s Russia in the weeks before and after the presidential election. Efforts to try to get this information to the public appear to have been aggressively blocked by the DOJ because it would potentially expose their own operations — both those that have been effective and others that have not. Felix Sater had been on the Bureau’s radar since the mid-1990s, when they were investigating Russian mob–affiliated financial scams. Very soon after Semion Mogilevich associate “Yaponchik” Ivankov arrived in the US, in 1993, Sater, together with an Italian mob associate named Salvatore Lauria, and others, had taken over a firm called White Rock and created a criminal brokerage whose only purpose was to fleece investors and launder money. It excelled at “pump and dump” scams, a practice in which stock prices are artificially inflated, then sold to unsuspecting investors — especially targeting elderly and unsophisticated buyers with high-pressure cold-calling tactics. White Rock included members and associates of four of the five major New York City organized crime families, including the nephew of mobster Carmine “the Snake” Persico and the brother-in-law of Gambino hit man Sammy “the Bull” Gravano, as well as Russian criminal elements. Although shuttering Sater’s operation was considered a great success, authorities soon decided they could leverage it to get even bigger fish. Thus, they cut a deal with Sater, seemingly to help them go after the Russian-speaking mob, and its “Brainy Don,” Semion Mogilevich. Instead of serving jail time, Sater became a highly valued FBI informant. Using unnamed connections, Sater arranged to locate some Stinger missiles that Osama bin Laden had supposedly placed on the market — an older model that could be used to shoot down commercial airliners. Immediately after September 11, 2001, Sater received a call from the chief of a new section in the FBI who wanted to talk to him about Stingers, according to Salvatore Lauria in The Scorpion and the Frog, co-authored with journalist David S. Barry. 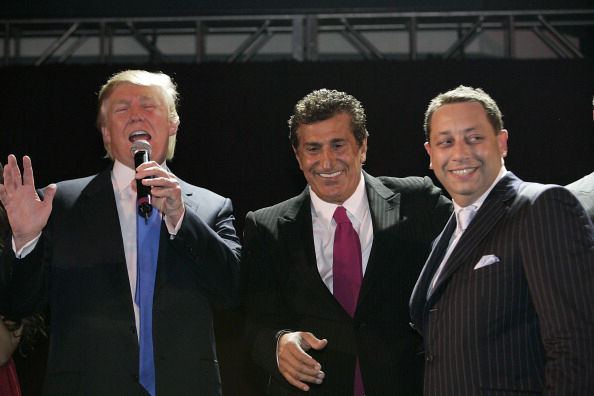 Months later, Sater joined Bayrock — the real estate development company with offices in Trump Tower — and he was soon partnering in business deals with Donald Trump himself. This raises some interesting questions: Did Sater take the job at Bayrock at the FBI’s direction? Indeed, was Sater’s business relationship with Trump at the FBI’s behest? One thing is certain: Bayrock became one of the most important links between Trump and big-money sources from the former Soviet Union. Donald Trump, Bayrock partner Tevfik Arif, and Felix Sater attend the Trump Soho Launch Party on September 19, 2007 in New York. The firm was founded by Tevfik Arif, a former Communist Party functionary in the Soviet republic of what is now Kazakhstan. Arif had formed another entity called Bayrock in Moscow in 1989, during the very last years of the Soviet Union. Many Soviet functionaries transitioned to successful careers in market capitalism with the help of friends in high places: those with access to resources could make enormous profits by pilfering the moribund Soviet state, and such funds were best laundered and moved abroad for safekeeping and investment. Real estate was generally seen as a stable investment. During the five years Sater worked at Bayrock, he traveled throughout the former Soviet Union, ostensibly looking for real estate sites to develop with the Trump Organization — while also allegedly laundering hundreds of millions of dollars in illicit funds from mysterious sources in the former Soviet Union. And all the while he was working as an informant for the FBI. Soon after joining Bayrock (about late 2001 to early 2002), he effectively took control of it — while of necessity hiding that fact from its lenders and clients. Sater was the firm’s Chief Operating Officer, and according to assertions in a lawsuit filed by a former Bayrock employee, by 2006 he owned more than 63% of the firm. Sater’s dominant role came despite the fact that he was a felon. Because of the services he was providing to the US government, this information was withheld from banks and others with whom Bayrock signed contracts, including condominium buyers. The Trump organization lent its name to Bayrock projects in Toronto, Florida, Arizona, and in New York City, in the chic SoHo neighborhood; the SoHo project was the only Bayrock development into which the Trump Organization actually put up any equity. Most of the Bayrock-affiliated projects failed, though, leaving a trail of angry investors as well as a string of lawsuits and countersuits. According to legal depositions, most of the projects that Sater worked to develop overseas — necessitating trips to Russia, Poland, and Ukraine (including numerous trips to Crimea) — never seemed to get off the drawing board. Sater and Trump sometimes traveled together. In September 2005, Trump and apparently Sater flew along with his wife Melania to Colorado, where Sater talked to a local reporter about possible Trump-Bayrock development projects in Denver. The real estate tycoon and the undercover mobster were close enough that, according to his deposition testimony, Sater could simply walk up a flight of stairs to Trump’s office and stop in for an impromptu chat. Indeed, Sater and the Trump clan grew so close that in February 2006, at the personal request of Donald Trump, the mobster joined his children Ivanka, Donald Jr., and his son’s wife Vanessa in Moscow to show them around, according to his deposition testimony. While he was in Moscow he emailed a journalist about possible Trump-Bayrock developments in Denver, in which he indicated he was with Don Jr.; a few days later Sater is alleged to have called one of the partners at the Arizona project and threatened to have him “tortured and killed,” according to later court filings. Sater’s tenure at Bayrock might have lasted longer, had The New York Times not “outed” his criminal past in 2007. Today, Trump claims to have trouble remembering Sater. “Trump was asked about Sater in depositions related to other cases in 2011 and 2013. In the first, Trump acknowledged that he used to speak with Sater ‘for a period of time.’ Yet in the second, Trump said, ‘if he were sitting in a room right now, I really wouldn’t know what he looked like,’” Mother Jones reported. In early December 2015, Trump still seemed unclear when asked by an Associated Press reporter about Sater. “Felix Sater, boy, I have to even think about it,” he said. “I’m not that familiar with him.” Ivanka and Don Jr. also later said that they had no memory of being with him in Moscow. FBI agent Leo Taddeo definitely did not “have to think about it.” Taddeo had worked in the Italian and Russian organized crimes sections of the New York FBI office and had directly witnessed the ramifications of the arrival of “Yaponchik” Ivankov in 1992 — and the influence of Mogilevich — in the Russian-speaking community, New York financial markets, and beyond. He rose to be the head of the Russian organized crime section — and was one of Sater’s FBI handlers. Taddeo testified on Sater’s behalf at his sentencing, praising his “extraordinary” cooperation and stressing how “capable,” “important,” and “effective” he was. During the years when Trump and Bayrock pursued their joint projects, the Trump SoHo was planned, designed and funded, and ground was broken for it. There are a number of possible reasons why Trump has had to tread lightly around the issue of Sater. Aside from what Trump might have known about Sater’s back-channel connections to the Russian government or organized crime, their joint projects also pose enormous financial risk to Trump. If he or anyone around him — such as other Trump Organization executives, accountants and lawyers — had knowledge of Sater’s criminal past and yet entered into contracts with him and Bayrock, Trump and his company would then be liable for hundreds of millions of dollars — and possible jail time. Because parties to bank loans and investment contracts must confirm that no owner or manager has been convicted of fraud, and if that confirmation is false, anyone who knew of the fraud is potentially liable. The same would be true even if someone learned about Sater’s criminal status after signing the contract but continued with it. Thus, if Trump knew Sater was a convicted felon but did business with him anyway, he, the Trump Organization, and anyone within the company who knew of it could face substantial penalties or fines. This might especially be true for the Trump-Bayrock projects, as so many of them ended terribly, with multiple lawsuits across many states. However, the information of Sater’s past financial criminality was officially hidden because his legal docket in the White Rock/State Street case was kept secret (owing to his continuing “cooperating witness” status). For this reason, even after performing due diligence, someone entering business agreements with Sater would find no evidence of his criminal past. The FBI’s failure to fully expose Trump’s Russian connection before the election seemingly emboldened the entire Trump team — from the president to his former campaign manager to his “bulldog” personal lawyer — along with Sater, to take actions that can be seen to have benefited Putin. Nowhere is this more true than with Ukraine. This former Soviet republic is central to Putin’s dream of restoring Russia to its Cold War-era greatness and protecting its borders. Annexing Crimea from Ukraine was a huge victory for him. Holding on to that strategically important region and maintaining access to it by controlling eastern sections of Ukraine itself are vital to Putin’s ambitions. For his part, candidate Trump didn’t even acknowledge that Russia had annexed Crimea or engaged its military in Eastern Ukraine, when the issue came up early in the presidential campaign. “Just so you understand. [Putin] is not going to go into Ukraine, all right?” Trump said in an interview shortly after he was nominated — before being corrected on the facts. Trump’s platform chairman J. D. Gordon reportedly had met with the Russian ambassador during the convention. In an interview with CNN’s Jim Acosta, Gordon said he had advocated the softening of the GOP platform language on Ukraine — a softening that Trump himself had advocated earlier in the year at a meeting with Gordon. Gordon’s later comments seem to walk that assertion back, but the GOP platform was changed. 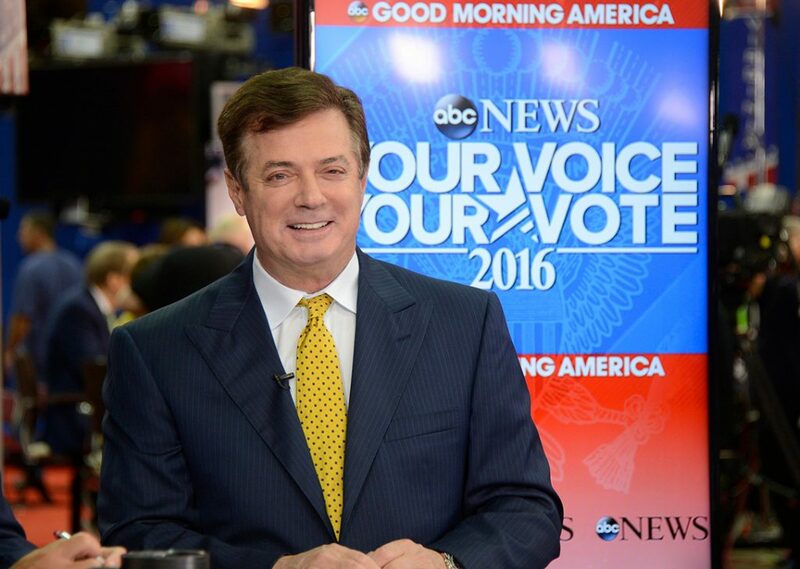 At that time, Trump Tower resident Paul Manafort was still running the campaign — until he was forced out because of his ties to former Ukrainian President Viktor Yanukovych and other powerful forces sympathetic to Russia. But Manafort’s connections to Russia ran even deeper than suspected back then. It turns out that, like so many other figures in this story, Cohen has his own substantial Ukrainian ties. After graduating from what is considered by many to be a third-tier law school, Cohen became a personal injury lawyer. He married a woman whose parents are Ukrainian, and his brother, also a lawyer, married a woman whose father rose from humble Ukrainian roots to become a billionaire. While all this high-stakes maneuvering between the US and Russia over Ukraine was unfolding, the DOJ and FBI were hard at work to prevent the Sater-Trump story from becoming widely known. WhoWhatWhy has learned that a number of key law-enforcement figures associated with Sater’s role as a government informant have continued protecting him — which has inevitably helped to keep under wraps the criminal goings-on in Trump Tower. One of these figures even went on to work for Trump. In fact, both XMark and Uher personally began receiving payments from the campaign as soon as Trump announced, in June 2015. Uher’s name surfaced in the press a handful of times, sometimes in allegations that he roughly handled protestors at Trump rallies. Yet until now, no one has pointed out that before he went to work for Trump, Uher ran Sater. It is not clear how Trump and Uher would have even known each other were it not for the man both knew in common — the man Trump was consistently vague about during the campaign — Felix Sater. As for Taddeo, in July 2016, as talk of possible efforts by the Kremlin to help Trump’s campaign continued to pick up steam, the Washington Post ran a story that downplayed the possibility and quoted the ex-agent, now in the private sector: “This is not Putin trying to help Trump,’’ he said. The article identified Taddeo as “a former FBI special agent in charge of cyber and special operations in New York”. ; it did not tell readers he had been Sater’s former FBI handler when Sater worked with Trump. 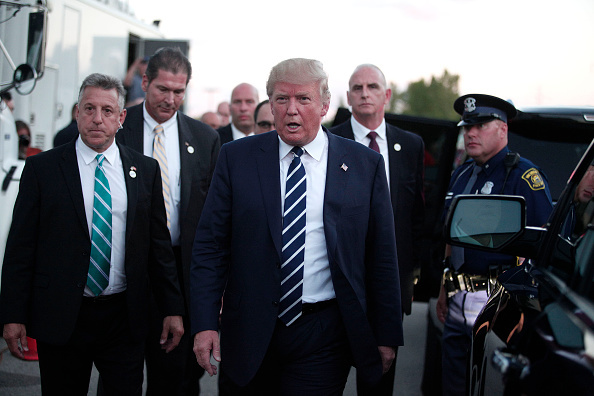 Left to right: XMark partners Ed Deck and Gary Uher accompany Republican presidential candidate Donald Trump with his private security director, longtime Trump Organization employee Keith Schiller, after delivering an address in Birch Run, Michigan, August 11, 2015. The paths of other central characters in the case are also curious. 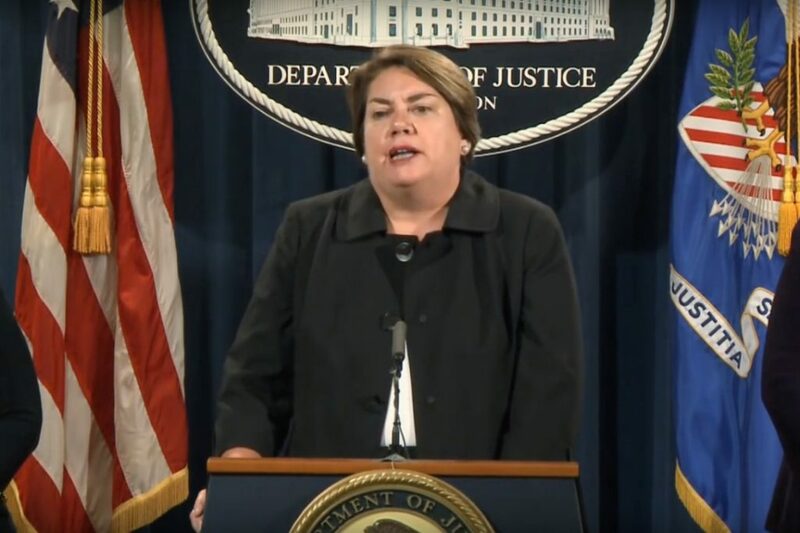 Two of Loretta Lynch’s colleagues at the Eastern District US Attorney’s office, Leslie Caldwell and Kelly Anne Moore, left government service to join the law firm of Morgan, Lewis & Bockius, and both represented Sater at his 2009 sentencing hearing. Caldwell returned to government work in late 2013 when she was tapped to serve as Assistant Attorney General for the Criminal Division — the number three position at the Justice Department. Trump’s announcement that he had retained Morgan Lewis as ethics counsel was clearly meant to blunt calls for disinvestment or use of a blind trust for the oversight of his businesses. Curiously, on the same day that Trump made the announcement, the Moscow office of Morgan Lewis was named “Russia Law Firm of the Year” for 2016 by an industry association. By entrusting Morgan Lewis with addressing his conflicts — and presumably demanding confidentiality agreements in the process, as is his practice — was Trump insulating himself from the release of information that would reveal the true nature of his financial relationship with Sater, Bayrock, and others? Such revelations — which could have exposed Sater’s criminal history, his interactions with Trump, the full scope of Bayrock’s financial arrangements with the Trump Organization, and perhaps the true source of Bayrock’s financing — all would be covered by attorney-client privilege. With so many players and so many layers of involvement, getting to the bottom of Trump’s Russian connection is a Herculean task. And there is one further complication. The Trump-Sater-Mogilevich-Putin saga, with its intertwining domestic and international threads, is almost certainly a battleground for powerful elements in the US intelligence complex. Even unravelling one thread — the FBI’s “running” of Felix Sater as an informant — is a challenge at every level. The FBI historically has been riven by internal battles over priorities and strategies — and the Bureau has waged fierce turf wars with other intelligence agencies, notably the CIA. To sum up, WhoWhatWhy’s investigation suggests that the FBI, in using an informant with a strong connection to Trump and alleged ties to Russian mobsters — including one deemed a national security threat by the US — has seemingly tied its own hands in investigating the president. This makes it difficult for the Bureau to pursue the president’s long-running proximity to mobsters, including gangsters from the former Soviet Union, and to those with close connections to the Russian president and oligarchic elite. This in part could explain the FBI’s odd behavior and the confusing back and forth on what the government knows about Russia’s interventions in the 2016 election. In this complex tale, it is sometimes hard to keep focused on the most important connections. The FBI used Sater in high-value projects; perhaps to help take down the Brainy Don Mogilevich, who takes us straight to Putin. That connection is so sensitive as to be deadly. Indeed after Ivankov, Mogilevich’s lieutenant and Trump Tower resident, publicly discussed Mogilevich’s close ties to Putin, he was gunned down by a sniper on a Moscow street. At the end of 2015, the Justice Department’s criminal division, headed by Leslie Caldwell — the former Eastern District prosecutor and later Sater’s attorney — removed Mogilevich from the FBI’s Ten Most Wanted list, an extremely rare occurrence. Suspects are usually removed from the list for only two reasons: arrest or death. 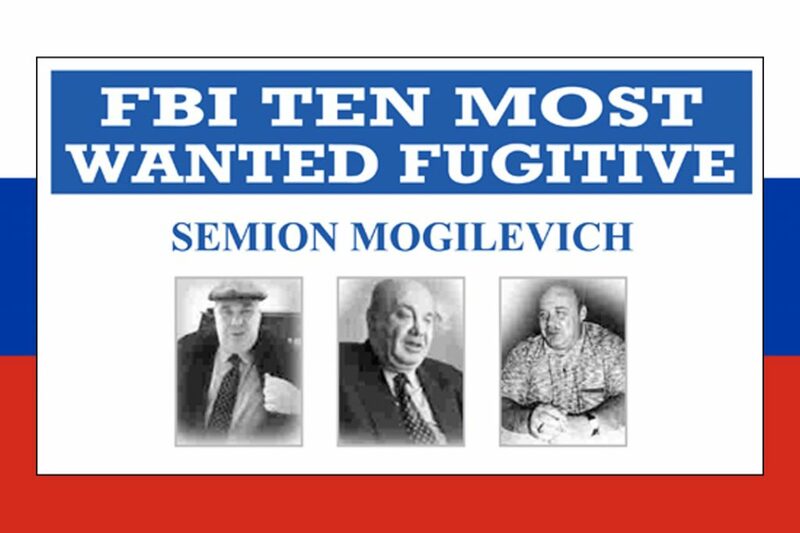 FBI wanted poster for Semion Mogilevich, 2009. Donald Trump has been a big Putin fan for years. This has been a subject of speculation and derision, but it has not gone further than that. Given how close Trump was with Sater, and Sater with the FBI, and the fact that the FBI was working to thwart Mogilevich (who was close to Putin), the big question is this: Why is this president’s unusual enthusiasm for the Russian leader, and Russia in general, not already a formal topic of urgent inquiry? Whatever it is, we need to know. And, as this article demonstrates, the FBI, for a variety of reasons, is not likely to tell us the whole story.